Tip 1: Conceal It Well – If you haven’t been taking care of your skin, your mirror will show you a few ugly truths. Dark circles, blemishes, marks and what not. 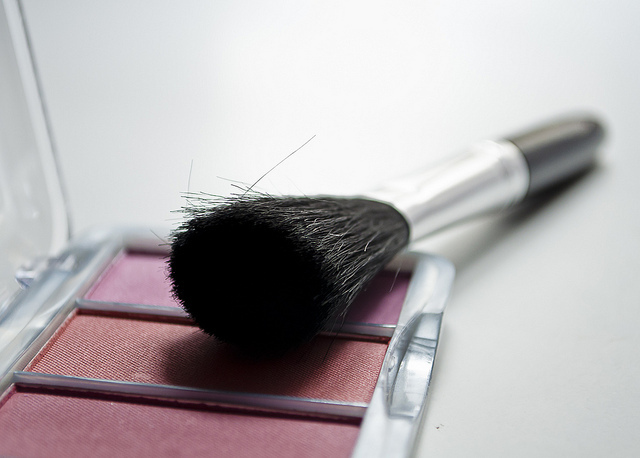 The first step towards giving your face the perfect make-up touch is to use a good concealer. An easier option is a panstick foundation, which is easily available in the market, combines the effect of both a concealer and a foundation in one combo. Use it to give your skin a flawless finish. Tip 2: Base Strength – Make-up should enhance what you have. Don’t try to hide your complexion under a lighter-colored foundation. Instead, take time out and visit a beauty counter to find the perfect foundation for your skin. If you want to add some color to pale skin, use a color foundation with natural glow, like warm beige. To add color to yellow-based skin, you can use foundations that have orange tints. Tip 3: Get Dewy – Celebs glow. We, with pale, sallow skins, get jealous and wonder how! But the magic lies in the right finish. Most of the celebrities finish off the foundation with a mettalizer, which gives it glow to the skin without adding any color. A mettalized foundation is especially good for dry weather as it gives a moisturized look. For hot weather, use iridescent powder with glitter to give a matte finish. Apply it evenly on your skin to give your face a natural sparkle. Tip 4: Blush Right – Don’t overdo your blush on. Cheeks should have a healthy flush and not look painted. Apply only on the part of the cheek that rises most when you smile. Lightly dust the powder or cream instead of slapping it on, and then stroke it upwards. For darker skin tones, use warm colors like bronze and maroon. Tip 5: Lash It Out – Bring out the beauty of your eyes by lavishing it with ample mascara. It gives a sparkle to your eyes. If you have falling eyelashes, use mascara with a primer. It will fold the eyelashes back and curl them. Stick on false eyelashes at the corner or all over to enhance your eyes further. 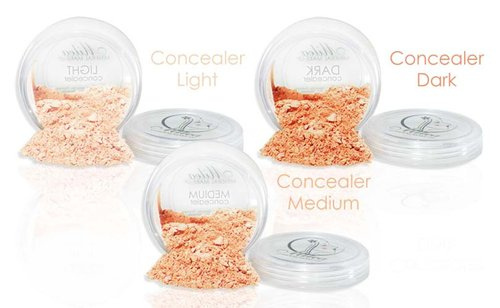 Tip 6: Mix And Blend – Unblended makeup has a jarring effect. For a flawless finish, be sure that you have all the lines, edges, loose powder, etc well blended. The eye makeup, especially should be blended well. Apply the eyeshadow with your finger tips. Then apply the liner or ‘kohl’ and smudge with an eyeshadow brush. It will give a dewy, smokey finish to the eyes which most professionals work on. Tip 7: Off Track Lips – The lip line should never be over and above the natural lip line. If you have thin lips, bring them out with a gloss rather than using a lipliner outside the natural lip line. Great article! Hydration is a key to younger looking skin:) Thanks for stopping by my blog! Your style is so unique compared to other folks I’ve read stuff from. I appreciate you for posting when you have the opportunity, Guess I will just book mark this blog. in your feed and I am hoping you write again soon! This is a really well written article. I’ll be sure to bookmark it and return to learn more of your helpful info. Thank you for the post. I’ll certainly comeback. may just anybody get that type of information in such an ideal approach of writing? Hi, this weekend is nice in favor of me, since this moment i am reading this impressive educational article here at my house. You’re very intelligent. You already know thus considerably relating to this subject, made me in my view imagine it from numerous numerous angles. Its like women and men are not involved until it is something to accomplish with Woman gaga! Your own stuffs great. Always take care of it up! I’ve got some suggestions for your blog you might be interested in hearing. Either way, great website and I look forward to seeing it improve over time. I don’t have time to look over it all at the moment but I have saved it and also added in your RSS feeds, so when I have time I will be back to read more, Please do keep up the superb work.